Pink Floyd’s 1973 album The Dark Side of the Moon is regarded as the band’s undisputed masterpiece, but the follow-up, Wish You Were Here (1975), is on an equal level or a close second in that distinction. 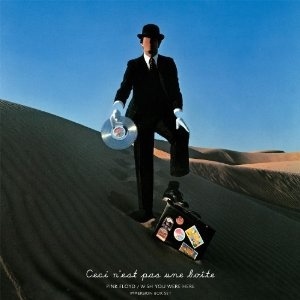 Wish You Were here, whose theme is about absence, as designer Storm Thorgerson pointed out in this new reissue’s liner notes — is bookended by “Shine On You Crazy Diamond (Parts 1-5 and Parts 6-9),” a tribute to Floyd’s eccentric former leader Syd Barrett; “Welcome to the Machine” is a futuristic and haunting track; and “Have a Cigar,” sung by Roy Harper, is a satiric commentary on the record business highlighted by the famous line, “Oh by the way, which one’s Pink?” The deluxe Immersion edition of this classic record contains live performances of “Shine on You Crazy Diamond” from 1974 as well as two then-new songs, “Raving and Drooling” and “You’ve Got to Be Crazy,” which would end up as being “Sheep” and “Dogs” respectively on the 1977 Animals album. Fans will get a kick out of alternate takes of Wish’s songs on the Immersion edition: a version of “Have a Cigar,” sung by the song’s creator Roger Waters; and the ballad “Wish You Were Here” featuring the stylings of the late jazz violinist Stephane Grappelli. (This expanded package also contains surround sound and Quad mixes of the record and the associated concert films). There is no doubt that Wish You Were Here is an important Floyd album and one of the band’s greatest works, and this edition offers an insight to that era of the band’s history. A Foot in the Door is the band’s latest single-disc career compilation, a somewhat abbreviated version of the 2-disc Echoes set from 2001. Die-hard fans may debate over which tracks were overlooked and should have been on this, but given the length of Floyd’s songs to fit within an 80-minute CD, Foot is essentially the best of the best. 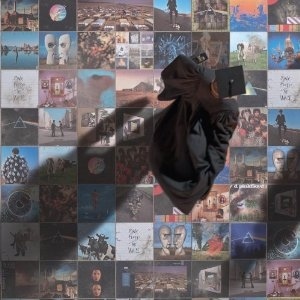 Not surprisingly, the albums whose music makes up the most of this new set are Dark Side and The Wall (“Money,” “Time,” “Another Brick in the Wall Part II,” “Comfortably Numb”). The Syd Barrett days are represented by the inclusion of the quirky “See Emily Play” along with the angst-ridden “The Fletcher Memorial Home,” off of the band’s 1983 album The Final Cut. Echoes provide a more in-depth summation of Floyd’s career, but for the very casual fan who probably will not venture out for the studio albums, A Foot in the Door is an apt and satisfactory starting point.